“No, I don’t think we should talk about Bill Clinton. There were plenty of feminists at the time those allegations were happening that we’re having this conversation right now, but at the time, we weren’t really listening to feminists. We thought they were sort of outliers,” Maxwell said. “I’m not giving him [Bill Clinton] a pass. I’m saying the reason we’re having this conversation about Bill Clinton and presidents is because the current president has been accused by over a dozen women of inappropriate sexual behavior,” Maxwell responded. 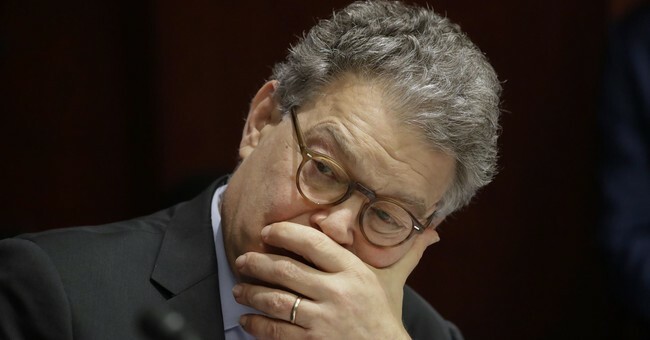 “And at the other end of the spectrum, you have street harassment, and you have Al Franken, and you have more benign behaviors that are traumatizing to women but are not necessarily criminal,” Maxwell concluded. Take what you will from that. In all, Maxwell, and others that came before her, tried to give Bill some cover, while mitigating sexual assault committed within their own tribe. It’s benign? I’m sure Ms. Tweeden would disagree.